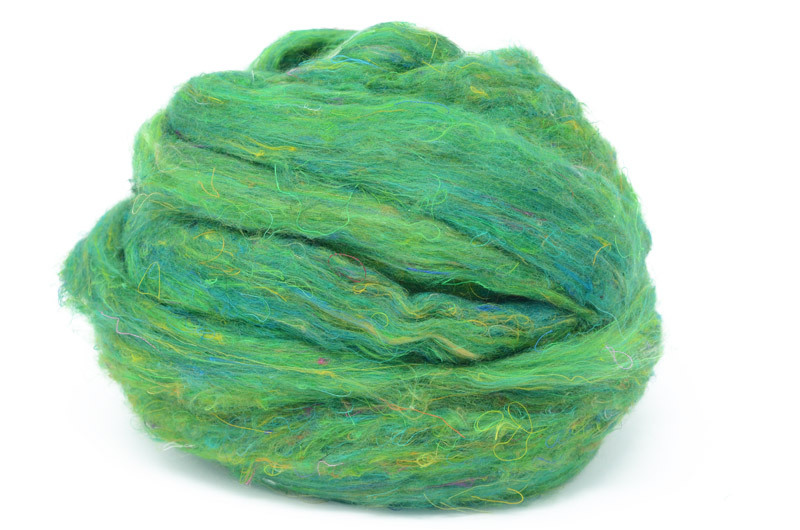 Recycled waste from sari weaving, collected and processed into an exciting range of fibres. Our range of Sari Silk fibres and yarns are made up as a by-product from the woven sari cloth. After the weaving the cloth is trimmed, chopped and cut to size, and it's these off-cuts which are then collected and processed once more to create what you see here. The carded sliver is very soft to the touch, as you would imagine, and can easily be incorporated into other blends. While it is possible to spin them directly it takes a rather experienced and steady hand to do so. Please be aware that there may be a slight difference in shading between batches.